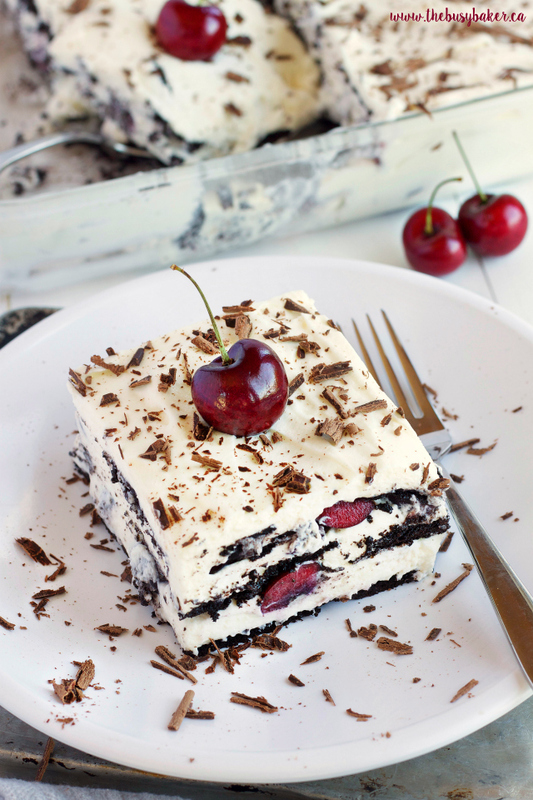 This No Bake Black Forest Icebox Cake recipe makes the perfect summer dessert! It’s super creamy and sweet featuring fresh cherries, and you’ll only need 4 ingredients to make it! Looking for more summer dessert recipes? You’ll love these No-Bake Lemon Blackberry Cheesecake Cups, or this Kiwi Lime No-Bake Cheesecake! I don’t know about where you live, but we’ve had a delightful heat wave on the Canadian prairies over the last few weeks complete with blazing sunshine by day and crazy, violent thunderstorms at night. Most days it’s been too hot to bake, too hot to cook, and too hot to do much of anything except swimming or hiding indoors with the air conditioning! Not that I’m complaining…our summers are so short here and so we like to enjoy every last drop of summer while it lasts, which means lots of playing outside, enjoying the kiddie pool, and as many cool treats as we can make! There’s pretty much nothing better than a delicious no-bake dessert in the hot summer, am I right? I’ve shared so many of our favourite summer treats with you already, like this Blackberry Mint Frozen Yogurt, or these Pina Colada Popsicles, but another cool treat I love to make is any kind of icebox cake! 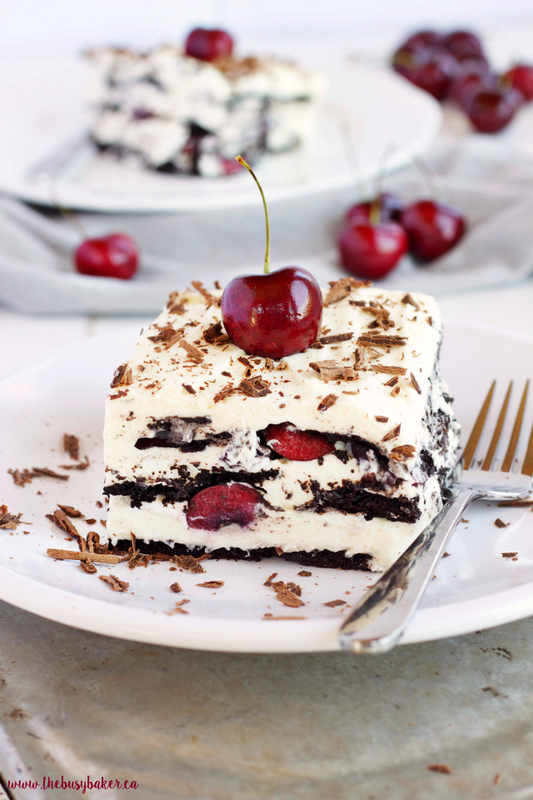 Icebox cakes are SO easy to throw together, the flavour possibilities are endless, and they almost always taste divine!! 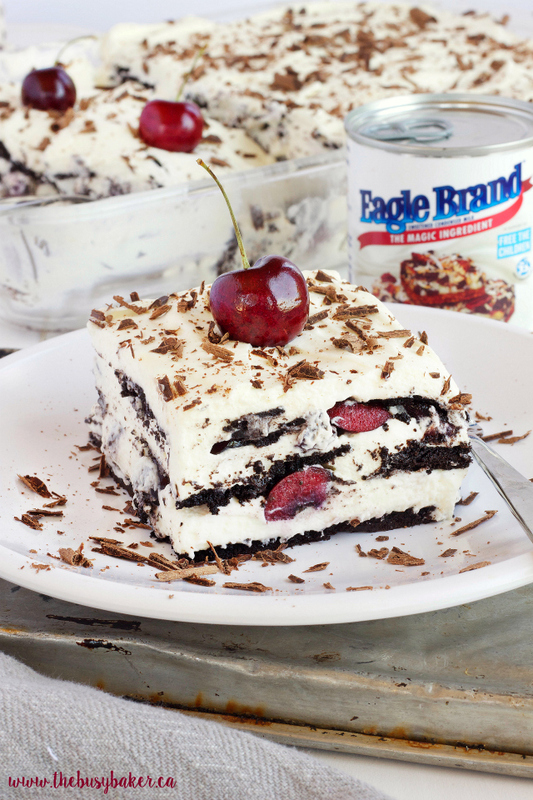 So when Eagle Brand® reached out to me to create a cool sweet treat for summer, and right in the middle of fresh cherry season, I knew this Black Forest Icebox Cake just HAD to happen! A close friend of ours actually lives in the Black Forest region of Germany and when we visited him there a few years ago he took us to a quaint little German bakery for a slice of authentic Black Forest Cake. Let me tell you, it was one of the most amazing slices of cake I’ve ever eaten! 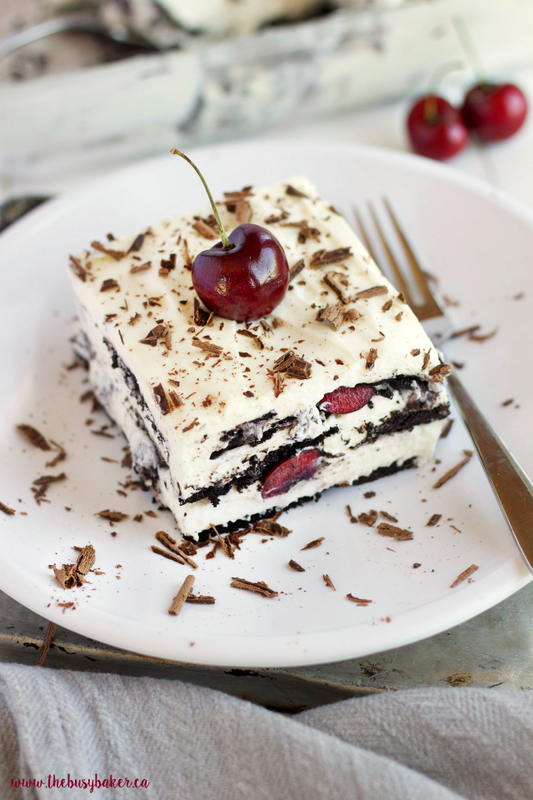 The cream layers were out-of-this-world delicious, and for me the only thing that has rivalled them since is this No Bake Black Forest Icebox Cake. Soft cream and Eagle Brand® Sweetened Condensed Milk is the perfect combination for the ultimate creaminess and ultra smooth texture in this recipe! I love using Eagle Brand® Sweetened Condensed Milk as the magic ingredient in my holiday baking, like these Chocolate Caramel Shortbread Bars, and since Eagle Brand® has been around for over 150 years in Canada, I grew up watching my mom and my grandma using Eagle Brand® Sweetened Condensed Milk in all of our family’s holiday recipes. But Eagle Brand® Sweetened Condensed Milk isn’t just for the holidays! It’s the perfect addition to all kinds of summer treats like fruit dips, ice cream treats, cakes and even pies. 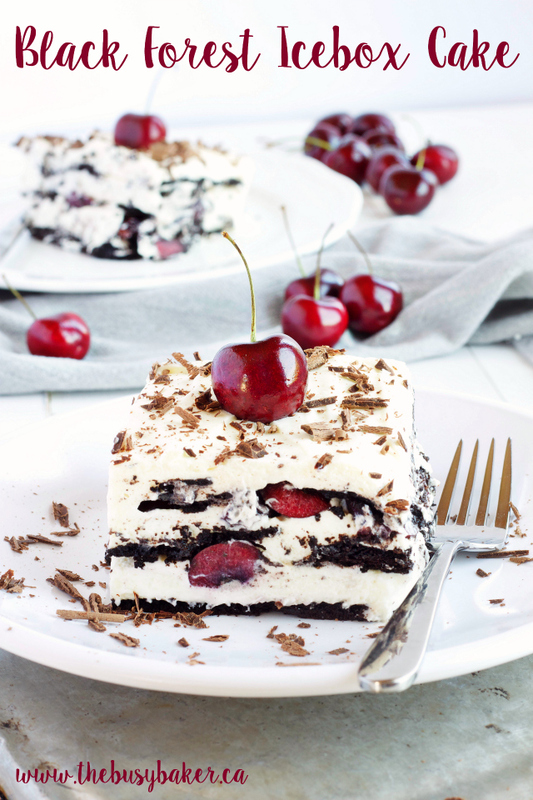 It pairs perfectly with fresh fruit in the summertime, and I know you’ll agree once you try this Black Forest Icebox Cake! And one of my favourite things about Eagle Brand® Sweetened Condensed Milk is how easy it is to use! It’s the perfect ingredient to bring on a camping trip or a weekend away thanks to the easy-open tab and it comes in 3 varieties – Sweetened Condensed Milk, Low Fat Sweetened Condensed Milk and Dulce de Leche Caramel flavoured sauce, so the recipe possibilities are endless! It’s made through the evaporation of water from milk and the addition of cane sugar (Eagle Brand® Low Fat Sweetened Condensed Milk is made with partly skimmed milk instead of whole milk, and Eagle Brand®’s Dulce de Leche is sweetened condensed milk with the added taste of caramel), creating a silky smooth sauce that’s the perfect kind of sweet! So with any variety of Eagle Brand® Sweetened Condensed Milk you choose, it’s sure to create the sweetest finale to any summer meal! 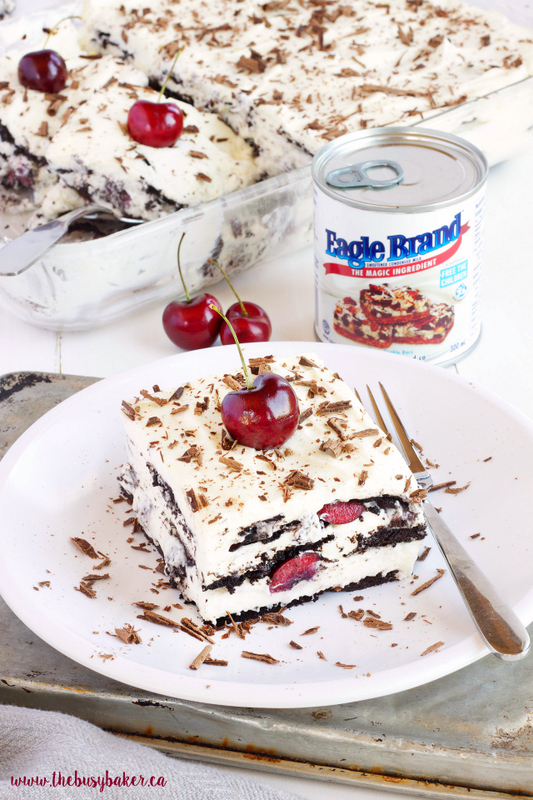 You’ll love that this cake has the perfect level of sweetness, thanks to Eagle Brand® Sweetened Condensed Milk. 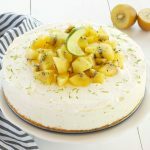 It’s ideal for summer parties or barbecues, or weekends at the lake – it’s definitely a crowd-pleasing recipe perfect for any warm-weather occasion! I hope you enjoy this recipe! Let me know in the comments below, and over Twitter using the hashtag #EagleBrandSummer, what summer treat would YOU make with Eagle Brand® Sweetened Condensed Milk? Looking for more simple summer treats? 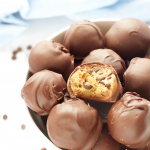 Don’t forget to check out Eagle Brand®’s endless selection of summer dessert recipes! 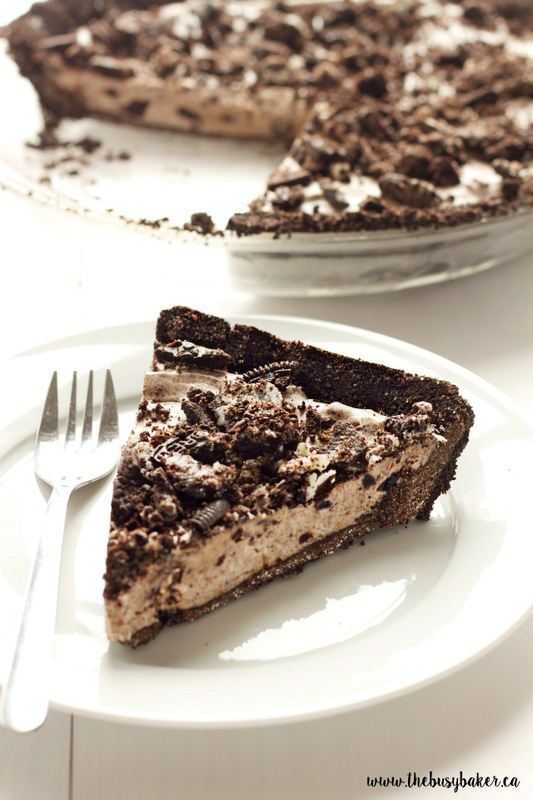 Or, try some of my readers’ favourite no bake recipes I have linked below! 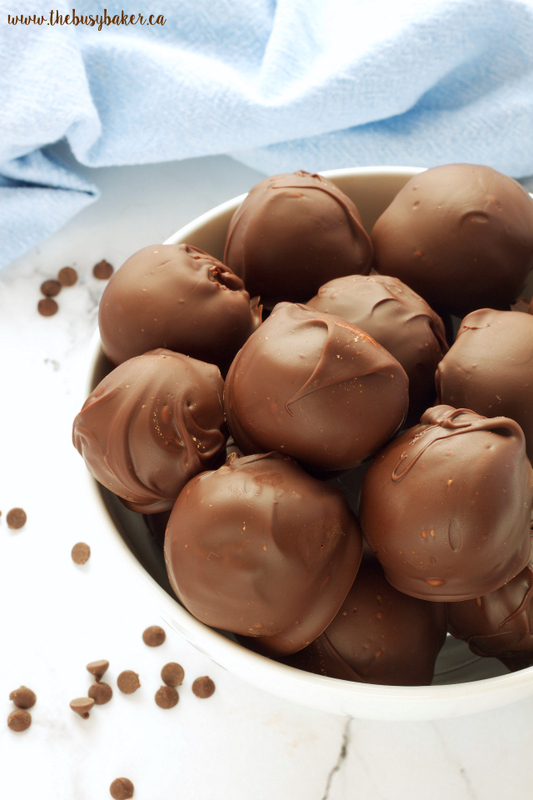 These No-Bake Chocolate Dipped Cookie Dough Balls are always a hit! 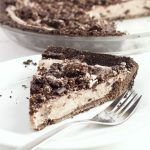 This No Bake Oreo Cheesecake Pie is one of the easiest desserts ever to make and it is an Oreo-lover’s dream! 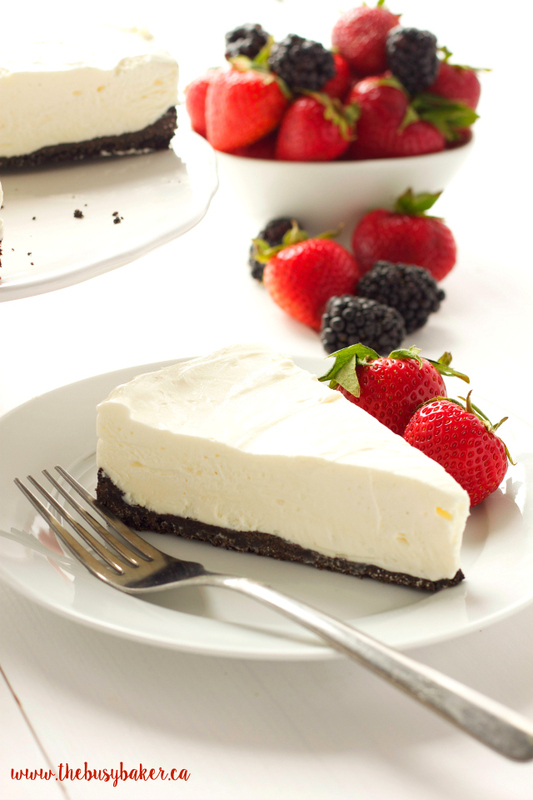 This No Bake Cheesecake is a classic recipe that goes with absolutely anything! 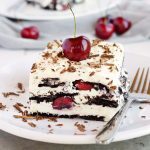 This No Bake Black Forest Icebox Cake is such an easy to make, cool and refreshing summer dessert! In the bowl of your stand mixer, or in a large bowl with a hand mixer, whip the whipping cream on high speed until it reaches the soft peaks stage. Continue whipping the cream on high speed and slowly add the Eagle Brand® Sweetened Condensed Milk in a steady stream until the mixture reaches hard peaks (be careful not to over-whip...you definitely don't want the mixture turning into butter!). Place a layer of thin chocolate wafer cookies in the bottom of a a 9x13 rectangular pan. Top the wafer cookies with a thin layer of the whipped cream mixture and sprinkle half of the chopped cherries evenly over the whipped cream mixture. Add one more layer of chocolate wafer cookies, another layer of the whipped cream mixture, and the rest of the chopped cherries. Add the last layer of chocolate wafer cookies and top with the remaining whipped cream mixture, smoothing it out on the top. Cover the cake with some plastic wrap and place it in the fridge for at least 24 hours to set. 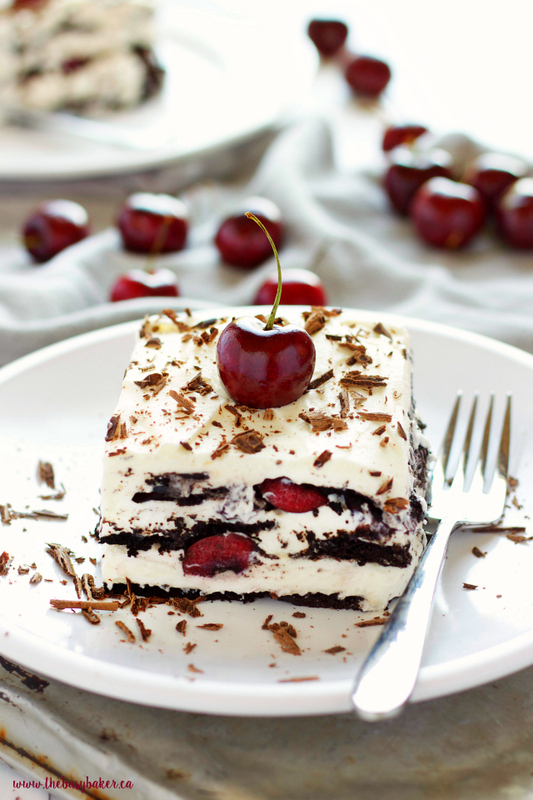 Once you're ready to serve, simply remove the cake from the fridge and uncover it, arrange the fresh cherries on top so there's one for each slice, and crumble a few of the leftover wafer cookies on top, or top with some shaved dark chocolate.